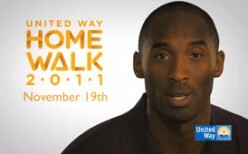 Kobe Bryant is teaming up with United Way of Los Angeles as Honorary Chair of their 2011 HomeWalk 5K Run/Walk, Saturday, Nov. 19, 2011, raising awareness & funds to end homelessness. 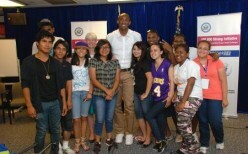 KVBFF has partnered with After-School All-Stars Los Angeles to send 11 students from underserved L.A. neighborhoods to China on an educational tour. 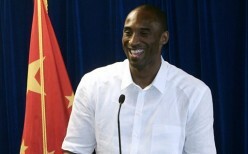 U.S. NBA star Kobe Bryant met with a group of American high school students studying in China at the U.S. Consulate in Shanghai. 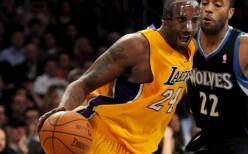 Lakers star Kobe Bryant has a new project and it has nothing to do with basketball. 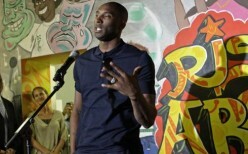 He's started a foundation to fight homelessness in Los Angeles.